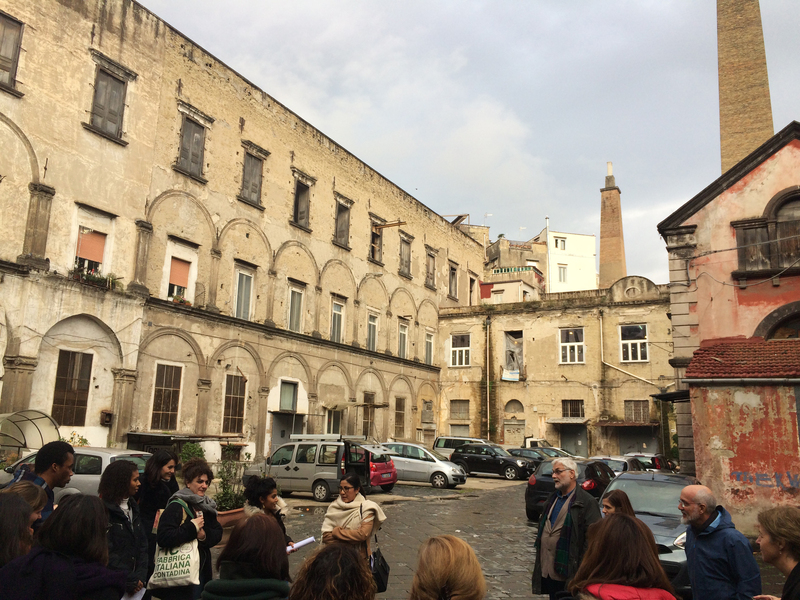 On December 13th and 14th a transnational meeting of the URBACT implementation network URBinclusion took place in Napoli. The focus of the knowledge exchange between nine European cities was on innovative actions for the integration of populations with migrant backgrounds in the Porta Capuana neighbourhood and the coordination of local actors. We were presented the activities of the URBACT Local Group / Porta Capuana Coordination Table, whose task is to interconnect the different sectors of the municipality with the local actors, in order to promote an open, inclusive and effective decision-making process. The focus is on developing new procedures that facilitate co-creation, co-production and co-responsibility with third sector organizations and social economy, that, at the moment, represent the most interesting innovation in addressing social exclusion and poverty challenges in the city. The Porta Capuana coordination table draws on the pre-existing experience of “I love Porta Capuana”, an autonomous bottom-up initiative aiming at the participated regeneration of the area, involving a set of profit and non-profit organisations active on the territory. The physical core of the process resides in the Lanificio 25, an ancient cluster that hosts an impressive array of social and cultural enterprises settled during the last decade.